I am thrilled to introduce today's Designer Spotlight, Channa! Her style is so unique and she uses her embellishments beautifully! 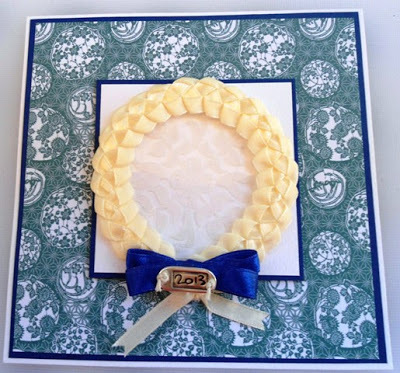 She also sells some of those gorgeous embellishments in her shop... check it out to see how you can get some for yourself! 1. My husband is from Greece, I am from the Netherlands and our first date was in ….Mazatlan, Mexico?????? I started scrapbooking a long time ago before all the fancy papers and accessories came out, when I look at my old pages it is a world of difference. 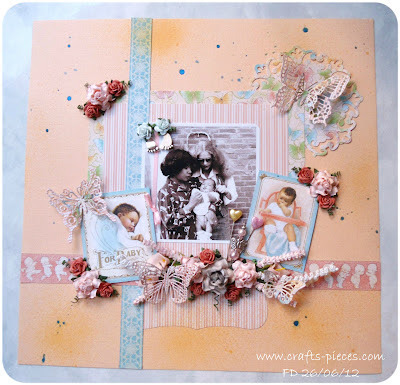 I don’t think I am in a specific category of scrapbooking, I always like to experiment different thing. Currently I am on 2 DT teams: Frosted designs for 2 terms now and Get creative since 2011. For FD I make layouts and Get creative I make cards. I was a member of Berry71blue and Scrapyourcrap. Currently my favorite scrapbook product is Dylusions ink spray. I love them just because there are so many ways you can use them and so many bright colors. I have decided for 2013 that I will make a lot more layouts, cards and other altered projects than last year. And our Christmas present was a new DSLR camera, at the moment I am still a dummy. I have no clue how to use it but it makes gorgeous pictures and i will show it off in my layouts of 2013. I wish you all a creative 2013 with lots of love, happiness and good health!! 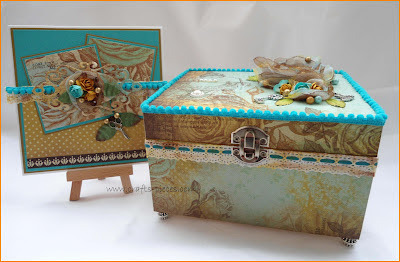 You can check out more of Channa's work on her blog HERE! Channa your work is beautiful!!! I enjoyed getting to know you better!!! Channa... I hate bugs and swimming in the ocean too! And the sand... yuck!! lol!! Loved learning more about you and you already know i love your work!! Thanks for being part of the team! Channa, It's so nice to learn more about you. Your work is amazing and I have to say I love dylusions sprays, too. I can't wait to see what you do in 2013!